You can be a great leader. Here's how. This revised and updated second edition includes several new appendices and expanded endnotes as well as an application section at the end of each chapter. The expanded endnotes connect to Dr. Clintion's ongoing research and his further written material on leader development that has occurred since the original book was published. Introduction: Who Needs These Lessons Anyway? 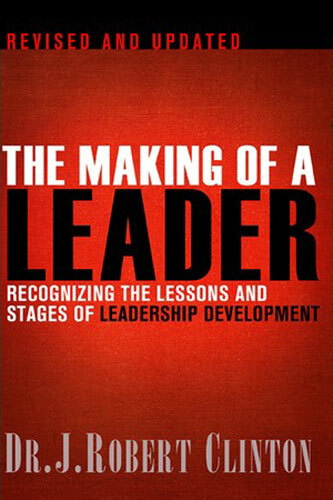 The original publication of The Making of a Leader profoundly reoriented and shaped the course of my ministry. 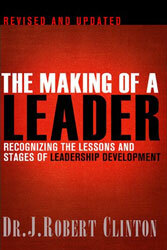 This updated version makes Bobby Clinton's work in leadership development available to a new generation. The added appendices and extensive endnotes are a gold mine, as they bring the reader up to speed with the numerous advances and discoveries Bobby has made. - Frank D. Hankins, affiliate assistant professor of leadership, School of Intercultural Studies, Fuller Theological Seminary.